A SA4T/K rod end bearing with M4 Male thread for attachment. Used commonly in RC equipment and delta style 3D printers. This SA4T/K rod end bearing is a mechanical articulating joint, generally used on the ends of control rods, steering links or tie rods. 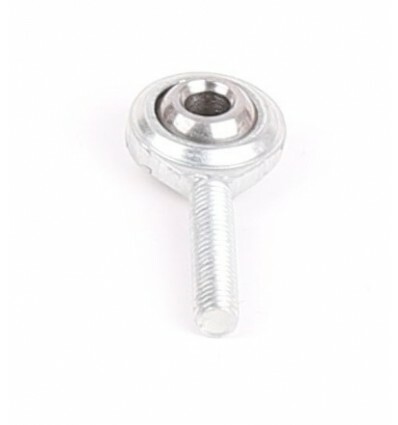 A ball swivel with a 4mm hole is pressed into a circular housing with M4 male threaded shaft attached. 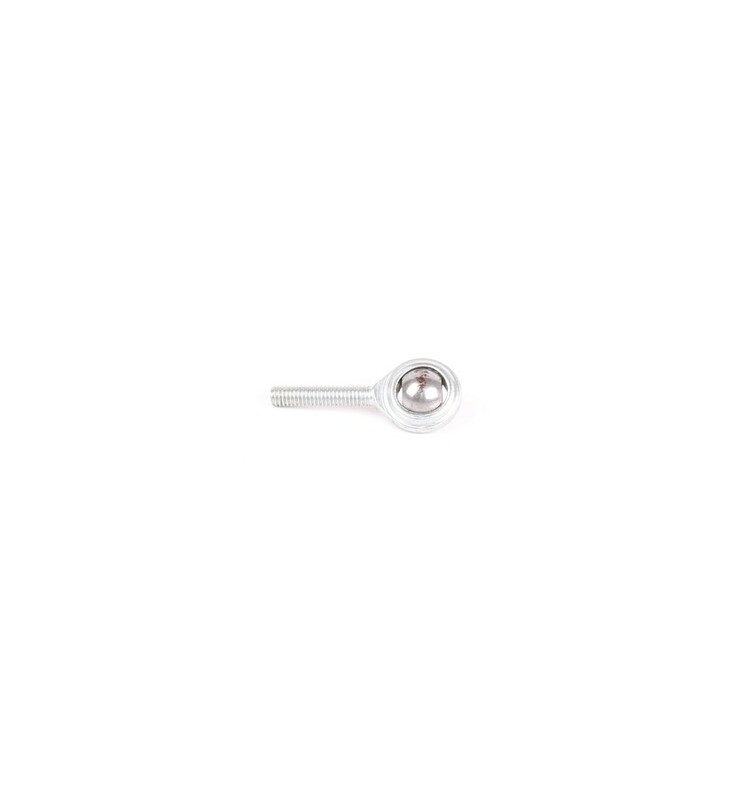 The 4mm opening of the ball swivel is where one connects a bolt or other hardware, enabling the precision articulated joint movement. Delta style 3D printers use six of these which attach to the hot-end effector unit.